The claws fight against the paws! 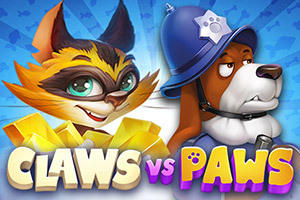 Spin the reels to see the crafty Cat in action, trying to outsmart the loyal watch Dog. Substitutes all symbols except Scatter. 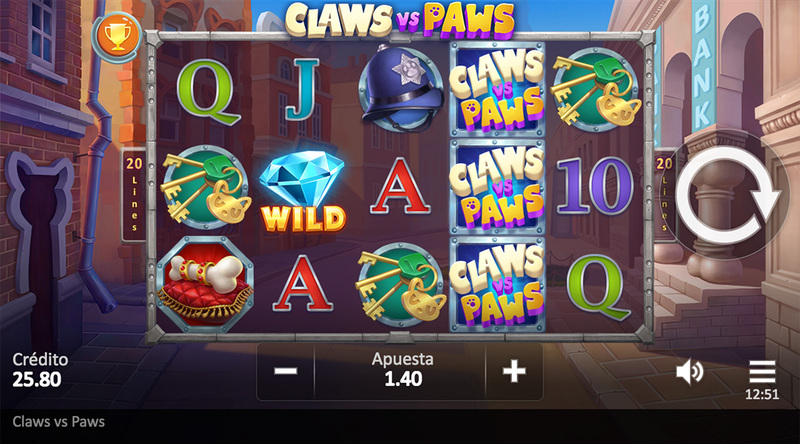 Special Scatter with a bronze frame triggers ‘Sliding Wild’ Free Spins. Special Scatter with a silver frame triggers ‘Progressive Multiplier’ Free Spins. Special Scatter with a golden frame triggers ‘Sticky Wild’ Free Spins. Randomly during the Main Game, cat character will substitute landed symbols on the reels to form a Big Win combination instead.